Item # 115090 Stash Points: 23,495 (?) This is the number of points you get in The Zumiez Stash for purchasing this item. Stash points are redeemable for exclusive rewards only available to Zumiez Stash members. To redeem your points check out the rewards catalog on thestash.zumiez.com. 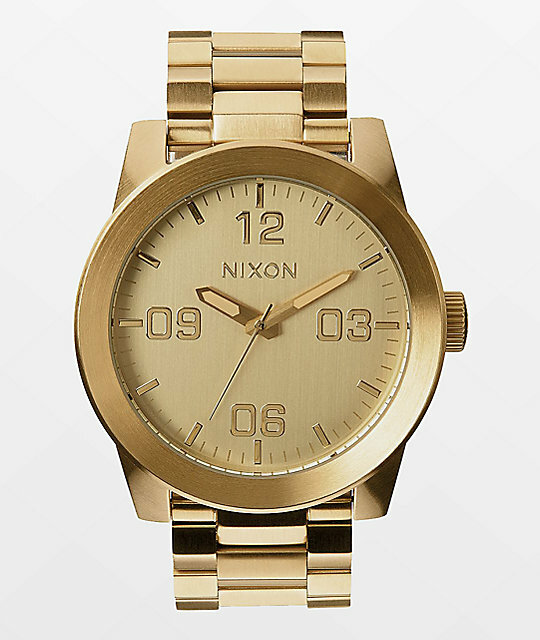 Upscale and luxurious in manner, The Nixon Corporal SS All Gold Watch comes dressed up in a contemporary monochromatic colorway; a composition that's easy to dress up or wear casually down. 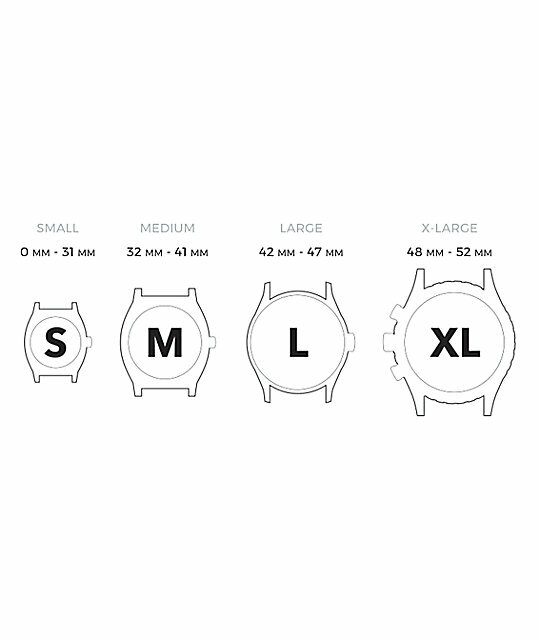 Taking after its name, this accessory features military inspired indices, numbers and a seconds track; a formal yet timeless aesthetic. 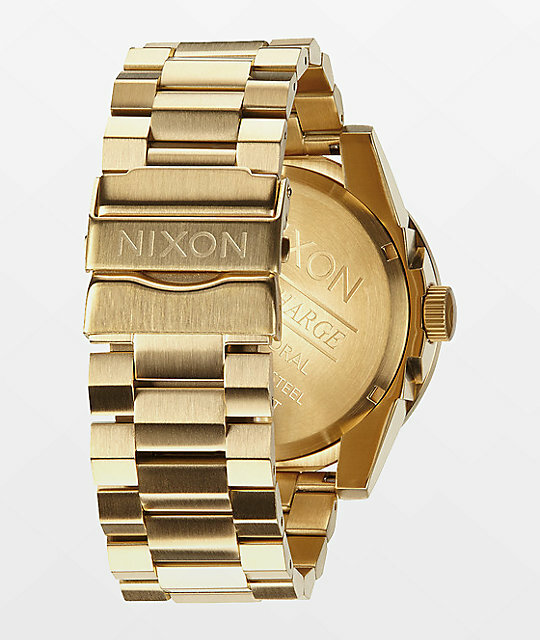 Corporal SS And Justice For All Gold Watch by Nixon. 48mm stainless steel case with hardened mineral crystal display. Custom molded hands with luminous fill. Military inspired indices, numbers and seconds track. Triple gasket crown with enamel fill at 3 o'clock. Stainless steel screw down case back and spring pin lugs. 24mm stainless steel faceted 3-link band. 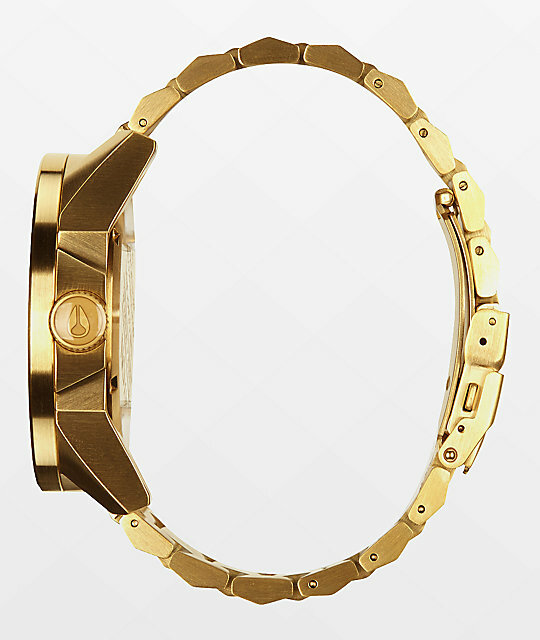 Double locking clasp with micro adjust.